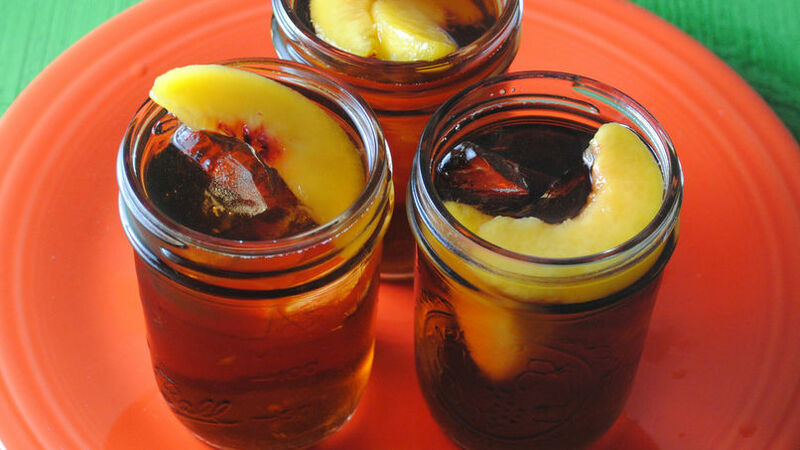 Place frozen peaches in a heat-safe pitcher or bowl. Add 4 cups water and tea bags to a sauce pan and bring to a boil. Boil for 1 minute and pour over frozen peaches. Allow to steep for 10 minutes. Stir in apple juice concentrate and additional 2 cups water. Mix well and place in fridge until ready to serve. Swap out – replace peaches with berries and try adding mint along with tea bags. Stay refreshed this summer with a tall glass of peach tea with a hint of apple goodness. This easy-to-prepare tea will make all your neighbors jealous!